One of the blind spots in my gaming experience is the multiplayer online battle arena (MOBA) genre, which consists of competitive multiplayer games like DOTA, Heroes of Newerth, and League of Legends. Part of the reason I’ve never jumped in to any of these massively popular games is the one-two combination of a daunting learning curve and their reputation as homes to hyper competitive and none-too-pleasant player communities. I don’t like the idea of doing the wrong thing and getting yelled at until I cry. It’s why I don’t go to elementary school anymore. This hasn’t escaped the attention of developers, of course, and I recently learned from this article on Polygon.com about about efforts by Riot Games, makers of League of Legends, aimed at improving player behavior. Riot actually has a “Player Behavior Team” consisting of psychologists, human factors specialists, statisticians, and similarly educated folks who stand around in lab coats and experiment with ways to make League of Legends players act with greater sportsmanship. Did less than half your comments contain slurs against another player’s mother? Good job! It’s a hugely complex problem, but Riot seems to be using a simple behavior modification trick straight out of Psych 101 to tackle it: operant conditioning through positive reinforcement of desirable behavior. To wit, Riot recently launched a new Honor system to reward good behavior. After each match, players can give teammates and opponents accolades across categories like “Helpful,” “Friendly,” or “Honorable Opponent.” Points from these accumulate and are made visible in each player’s profile. Players are limited in how many Honor awards they can dole out, so getting one means something and Riot is experimenting with in-game rewards like special badges and player character skins for players who amass lots of Honor. Indeed, learning (which in psychology is often synonymous with “lasting behavior change”) via reinforcement or punishment dates back to research in the early 20th century by pioneers like Edward Thorndike and B.F. Skinner. In brief, they found that animals could be trained most effectively by pairing rewards or punishments with desired or undesired behaviors. Give a rat a pile of cocaine each time it presses a lever and it will jam on that thing like a maniac. But give the rat a pile of cats and it will stop pressing the lever. Or something like that; I’ll leave the specifics to the Wikipedia article on Reinforcement if you want them. Research on this kind of learning developed and expanded, including its use in modifying human behavior and understanding the best ways to schedule and present the rewards and punishments. It turns out that positive reinforcement (adding something the subject likes, like Honor points) is super effective, but even more effective when presented unambiguously, meaningfully, and quickly after the desired behavior. So timeliness and specificity are important to creating associations between behaviors and rewards, but there’s one other facet of the Honor system that I think makes it work: its feedback schedule –that is, how often you pair the reward with the desired behavior. For example, if you make the pairing every tenth time and that’s called a fixed ratio schedule. Do the pairing every ten minutes and that’s basically a fixed interval schedule. This all begs the question, though: are rewards like Honor more effective than punishments like shame or even banning? At first blush it seems that the consensus is that rewards are far more effective than punishments. That’s the attitude shared by many child rearing guides, dog trainers, and management gurus, anyway. But in the literature review I did while writing this article, it became clear that there is actually still considerable debate about the topic, and a lot of it depends on the type of people you’re trying to change. A 2011 meta analysis (a kind of superstudy that combines data from many individual studies) by Daniel Balliet, Laetitia Mulder, and Paul Van Lange, for example, found that positive reinforcement and punishment are about equally effective for getting people to cooperate with others in social dilemma type games. Humans and human interactions are complex, it turns out, so there’s little room to be definitive on the topic. That moment changes everything. Yes, you were the worst and your team lost, but it’s OK. Without the system, this player might have just logged off with a bitter taste in his mouth. Now, we’ve nudged the negative experience into more positive territory. Multiplayer games are social interactions. Shouldn’t our behavior in them carry the same costs and rewards as it would anywhere else? Balliet, D., Mulder, L., & Van Lange, P. (2011). Reward, Punishment, and Cooperation: A Meta-Analysis. Psychological Bulletin, 137(4), 594-615. As a player of League of Legends, I can tell you that this “honor system” is broken. Hardly anyone gives out honor and not only that, but the way people behave has not changed. Recently I have played several games where my team mates were just absolute horrendous people. They curse and yell at everyone and start pointing out the reasons why that player is “bad”. When I defended that “bad” player, I was called a troll and was (most likely) reported in some way. I have had a warning from Riot before about my “behavior” and upon looking at my cases it was just me trying to defend either myself or another player and the person who reported me was most likely one of those horrendous people. Obviously if the honor system is working then people’s online behavior and demeanor would change…but these people are still around. Now, you might be thinking, “Well…there are always going to be those people but it’s rare now, right?” No. They are in every game. League of Legends has one of the worst online communities in the world. Even on their forums people are negative and rude. 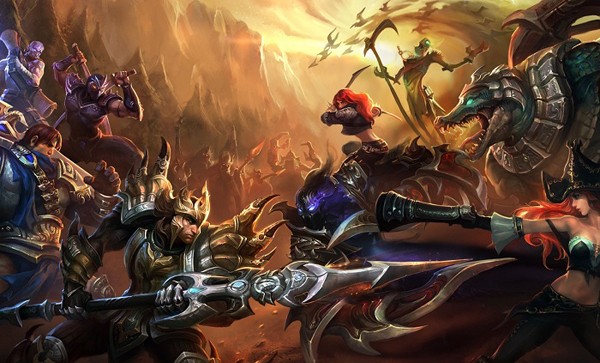 Riot has good intentions with this honor system…but it just isn’t working. Maybe I’m just an incorrigible optimist and tend to look on the bright side but I’m been super happy about the honor/report system since it was introduced. I’ve qualified for honorable opponent and am pleased to know that the effort I put into being non-toxic in game is being noticed. But contrary to your post, I have noticed a definite decrease in the number of negative people. There are still lots of people that don’t care, but I feel like in general they are looked down on. Riot’s even posted statistics about the increase in positivity and other related things. You can’t expect never to meet jerks, but don’t write off the honor system just yet. Thanks for the comments, James. I’m sure that it hasn’t eradicated the behavior, or even necessarily made it rare. For something like this, there’s not going to be a single silver bullet. The question I’m more interested in is if it has significantly reduced it, across lots of people. A sample of one is bad statistics, they say, so I’m curious if Riot has any hard data to show changes. Or if the data show that it’s not working at all. -“Players are limited in how many Honor awards they can dole out…” This, from my own experience, and from the description Riot gave doesn’t seem to be the case. You can honor every person in every game you play, so far as I know. What Riot _does_ say is that honor from people you play with regularly is worth less than honor from a complete stranger. So this should, in theory encourage you to play nice with strangers. -“This all begs the question, though: are rewards like Honor more effective than punishments like shame or even banning?” This sentence is a bit problematic, as it gives the impression that Riot has chosen the Honor system over a system of punishments. In fact they have BOTH. The Tribunal, which is the punishment system, is _also_ community oriented. Players log in to the web site, review cases, and vote on whether to punish or pardon the accused. They moderate it carefully, and any severe punishment is reviewed by Riot. Still, speaking anecdotally from personal experience, it is quite empowering, and lends a sense of ownership to the process. Keep up the good work. As someone who publishes game research myself, I would recommend you give League a try. It will give you more inspiration and direction for your inquiries. The honor system has had absolutely zero positive effect on the community in LoL. If anything, it has made things worse because some people get angrier when they feel like they deserved honor and didn’t get any. People are just farming it like it is any other stat to powerlevel up. Also, a wrinkle in the system is if you ever get reported for “bad behavior” and the player run Tribunal agrees you were bad, you lose all your honor. So one slip up (legit or not) and you lose everything. If you send me an email, I’d be happy to share some opinions on why the community is so venomous and always has been. I’m going to have to respectfully disagree with the previous two commentators who said that the LoL Honor system doesn’t work. My husband plays LoL on a nightly basis and he has already noticed significant improvement in his games. He’s a teaching player, so he wants to see others succeed and tells them how to do so within and out of games, even if they get mad at him in return. Consistently, he gets Honor from similar, well-meaning players. But maybe that’s the key here. If your outlook is positive and you exude this to others, you’ll attract the attention of the like-minded. Of course those who are negative and don’t think the system works will not care to try it and test its possibilities, so they will of course not think it’s working. No game is perfect. But when Riot is not afraid to ban team members before they even get to the championships because they were toxic players and you see many LoL players supporting this decision, you can be darn sure that Riot’s actually trying to make their game as close to perfect as possible. I challenge anyone to say the same about Microsoft improving behavior on Xbox Live, for example. You mean a community that has “improved” so much they’re now having to ban some of the world best competitive players? That’s exactly how far it has degraded. The fact they’ve had to ban those people is not evidence of progress. That’s evidence of regression. The community grows more and more toxic with each season – especially as players roll “smurfs” for the fun of dominating what few legitimately new players exist in lower tiers. It is an absolute horror because Riot thinks you can solve community problems through automation. It takes resources. It takes PEOPLE. It takes will. All they care about is e-sports. “It takes PEOPLE” What the heck do you think the honor/report system is? It’s based on people. You play nice, you get honor. You play mean, you get reported. I think that the fact that competative players have been bans show that Riot DOES care more about stopping toxicity than about having good players in the e-sports scene. If you’ve had this bad of an experience in LoL you’ve either been just as bad yourself or you’ve been ignoring the good players. Or perhaps you give up on the game after having some troll call you a worthless noob? That’s not unique to League of Legends. I very enjoyed your website in general. Everything is well backed up, it is such a change from the internet in general. There is one weird thing about honor and bans, the honor system is instantaneous, but the ban system is completely opaque and delayed. You do not get any immediate feedback when you are reported (for a valid or flawed reason) unless a negative decision is taken by the tribunal. Isn’t it a well know fact of operant conditioning that proximity of action and reward/punishment is important in shaping behaviour? People don’t seem to grasp simple concepts or scientific principles. For example, if you implement a system that works wonders to lower the number of trolls, reduce toxicity in the community, and vastly improve player interaction- it is a success. However, that doesn’t mean that the trolling or toxic behaviour is eliminated. It doesn’t even mean it has reduced enough to see it as any less than still very common. It DOES mean reduction. It DOES mean improvement. And the Honor System has DEFINITELY been a SIGNIFICANT improvement. The naysayers are simply too blind to see the changes, because they require a black/white, 100% / 0% approach to things. Just like many in politics they will see a single instance of abuse, and claim the changes have failed and are not improving anything. It’s the same psychology as when republicans show a single person abusing welfare, and then spread propaganda that welfare is bad, and everyone on welfare is a lazy criminal who doesn’t want to work. While in reality, the criminals fall in the extreme minority, while the vast majority 99% work multiple jobs or strive for employment and don’t even want to be on welfare because it’s so embarasing and humiliating. They ignore the facts that most get out of poverty thanks to it, and contribute to society. All because of a few bad apples that are a rare minority. This guy, like so many others, instantly jumped to criminalizing the brothers of the criminal. Why? Because this guy, like so many others, failed to understand their perspective, their experiences, their worldview, is not everyone else’s. It’s not reality. It’s not necessarily common, average, or typical. You play 10 games, and in 4 of them see some trolling, and in 1 see a massive game-ruining troll. They implement the honor system. You play 10 games, and in 2 of them see some trolling, and in 1 see a massive game-ruining troll. Meanwhile, ten thousand other games are played at the same time, with only 1 troll and only a 4% chance of a game-ruining troll. The system is not a failure. It’s a huge success. Don’t let your small worldview cloud your judgement. Your single perspective is not the truth. I play on europe east & nordic server and I see the system has many flaws. The possitive feedback is not showing at all. Many players I play with are saying they honored me, but it does not show anywhere. I do not have honored marks in loading screen and no message in launcher appears either.When I got negative feedback because I was angry at trollone game, one of the enemy players reported me for negative attitude and instantly a message popped up telling me everybody has their bad day and that I should behave nicely next time. Why should I be motivated to be nice to trolls and players with super high ego thinking they are gods if I do not get anything from it? It looks as if Riot only punished instead of punishing AND rewarding. On the other note I get troll in every game. I get frustrated when I see that entire game depends on my and my friends skill. I understand connecting problems or unskilled players as reason for playing bad, but really people should not be so oversensitive that after one bad teamwork encounter they start spoiling the game for teammates who are trying their best. The good, evenly matched game where both sides enjoyed it despite winning or losing was two months ago. I play every dayand in every game there is either troll on enemy team = we win or troll on our team= we lose. it gets really demotivating especially in ranked games. In last season I was ranked bronze after winning 7 games out of 10. Every other ranked game there was a troll, afk player or unskilled player playing on either side. Reporting does not seem to work the way it was meant to. I report bad and toxic players every game but their numbers arent diminishing. I am sorry if my comment is not creative or helpful, But I would really like to read your opinions.